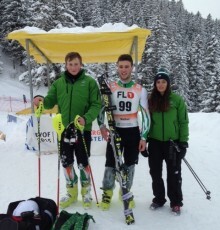 Ireland’s Enda Bolger competed in the men’s slalom event today at the 2015 EWYOF in Malbun, Liechtenstein. He put in a very solid performance over the two runs finishing well inside the top half of the field. On a very difficult course thirty four skiers including Ireland’s Ben Anselmi and Gary Skinner did not finish the first run. In the 2nd run 24 were unable to finish.Congratulations to Enda in finishing 43rd in a field of 102 skiers on a very technical course. Bolger said, “Very pleased with result – 43rd position, especially so, as my goal was a finish in top 50. The course was very difficult and there was a big number of non-finishers. I made the same big mistake as everyone on the first run but managed to hang in there, without the mistake I would have been a few seconds faster”. He added “I am delighted to have had two finishes in this high level competition”. I started skiing when I was 7 years old, every year we went on a family ski holiday but it was not until I joined the ski club of Ireland that Skiing went from being a hobby once or twice a year to being my main competitive sport.I joined the ski club of Ireland in 2008 and almost straight away was recruited for the ski club development race squad. I spent 3 years training with the squad before being moved up onto the Race squad ! From here I went to different races all over the UK doing snow dome and dry slope races, this then led to the start of my ” snow skiing “. When were you first selected to compete for Ireland? I was selected to be part of the 2012 Irish children’s ski team to go to Andorra for the 20th “Trouffa Brouffa” competition. Then again returning to the same competition in 2013. It was in 2014 that I got my FIS ski licence allowing me to travel to and compete in international races to try get my FIS points down. That then brings us to the start of the 2014 /2015 session. Which since I have been in training and travelling to races and quite literally chasing the snow. When at home attend St.Benildus College in Stillorgan doing the Leaving Cert ! And doing physical training in the gym. Apart from skiing I am also quite a completive sailor and race 3 times a week in the D.B.S.C series where we are ranked as one of the fastest boats in Dublin Bay. The boat I race on is a 32.5 Benito called Bendemeer. I am also a senior sailing instructor in the Irish National Sailing School where I have worked for a few years and I also learnt how to sail there. I spent the past summer working as a sailing instructor in Spain which is safe to say was the experience of a life time, leaving home at 17 years to move away and work for a session. To then come home and jump straight back into full time training ! 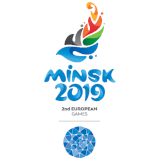 What does it mean to you to be selected for the Winter European Youth Olympics? Being selected for the EYOF is a dream come true. 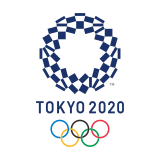 It means I get a unique chance to represent my country and do the best I can for the country knowing that it will always stand to me as a life achievement and will always remember waving the flag at such an event ! What music will you bring with you to EYOF? Hard to say I’m just going to bring my iPod with me. Athlete you admire most in any sport? Lindsay Vonn I find as a good example to follow as she has good technique and has a good history of podium positions.